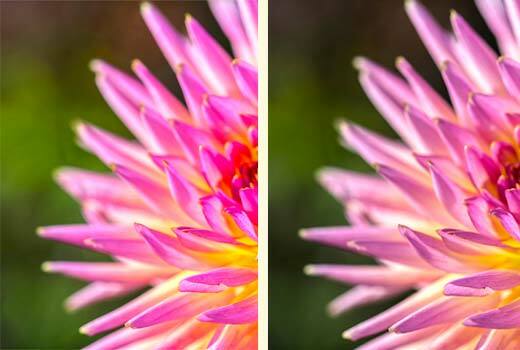 Are you wondering why some images lose colors and saturation in WordPress? Sometimes when you upload your images to WordPress the colors look desaturated. In this article, we will show you how to fix the image desaturation issue in WordPress. Photos captured with professional cameras often use Adobe’s RGB color space which has more colors and offers better results. However, when you upload images to the WordPress media library, it will create multiple sizes for each image to optimize them for your site, and the vibrant and sharp colors can become dull in the process. That’s because WordPress uses RGB color space, which has less colors. WordPress also compresses the images which can contribute to some loss in quality. The best way to prevent your images from losing color and saturation is to convert your images to RGB color space before you upload them to WordPress. This can be done using Adobe Photoshop. First thing you need to do is open the image in Photoshop. 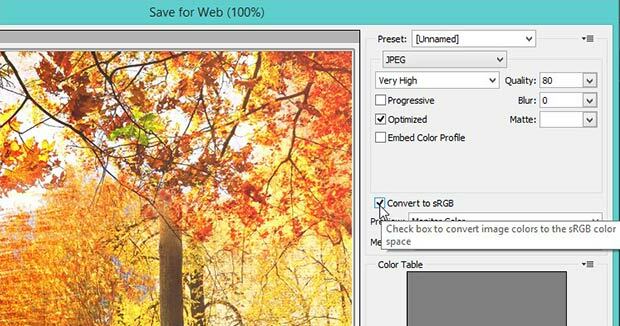 Simply go to File » Save for Web and check mark the Convert to sRGB. Then click on the Save button. However, if you are not satisfied with the results, then go ahead to Edit » Color Settings. It will popup a window. 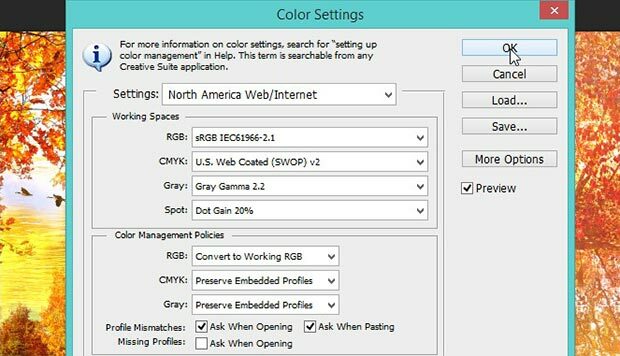 In the Settings dropdown, you should select North America Web/Internet and in the RGB dropdown, you should select Convert to Working RGB. That’s all. Now you can save the image and upload it into your WordPress site. Simply repeat this process for all your photos to convert them to RGB before uploading, and you’ll avoid any color or saturation loss in WordPress. We hope this article has helped you to learn how to fix the image desaturation issue in WordPress. You may also want to check out our guide on how to upload large image files in WordPress.